Marcus Schmieke, born in 1966 in Oldenburg, wrote eight books on the subject of Vasati and is the Vasati pioneer in Europe and the founder of Vasati, the modern scientific form of Vasati. After he studied physics and philosophy in Hannover and Heidelberg, he made long study trips to India where he was initiated into a Vedic spiritual tradition. In Indian monasteries he studied among other things Vasati, Vedic astrology, Sanskrit, Vedic philosophy and metaphysics. He finished his Vasati studies with a diploma at the prestigious South Indian institute Vasatividyapratisthanam. He studied Vedic astrology under the guidance of different masters of Northern India. In 2004 he received a Diploma in Global Scaling Physics from Dr. Hartmut Mueller (IREF). He completed his Dissertation on Vasati and modern physics in autumn 2004 at the Florida Vedic College. 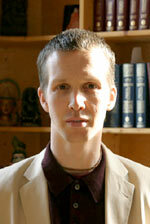 In 1994 Marcus Schmieke co-founded the magazine Tattva Viveka as a forum for science, philosophy and spiritual culture, followed by a number of books about natural science, life processes and consciousness (Science and Consciousness 1995, The Fields of Life 1997, Subtle Energies in Science and Medicine 1997). With the foundation of the Veda Academy on Weissenstein Castle in 1996 he founded an institute for the integration of science and spirituality that made a name for itself across German borders. Since 1998 in Saxonian Switzerland, research and teachings of the Veda Academy above all concentrates on Vasati, Vasati, Ayurveda, Sanskrit and Vedic astrology (jyotish). His training in modern science as well as in the ancient knowledge of the Vedas allowed him to find the scientific basis of Vasati in a simple set of mathematical formulas, describing the resonances of gravitational waves with space and matter. Marcus Schmieke’s comprehensive Vasati book The power of living space has become a standard work of Vasati in German language. In his book The twelve success laws of proper housing he formulated the twelve laws of architecture for the first time. On the basis of this open architectural system he developed Europe’s first Vasati training and distance learning. He attends to Vasati students in more than ten countries. His eight books on this subject have been translated in more than fifteen languages and have been published even in India, the country of origin of Vasati. Since spring 2004 Marcus is the Dean of the Vasati Department of the Florida Vedic College where he serves as an Adjunct Professor. Additional to his books on Vasati Marcus wrote four books and a two year correspondence course on Vedic Astrology and is teaching astrology students all over Europe. Besides his work as a trainer for Vasati and Vedic astrology as well as his being an author and scientist, Marcus Schmieke is globally active as a planner of Vasati houses and also does international consultations. Irena Vojvodic, MSc/MA is Managing Director of the European Academy of Vedic Sciences and Head of the Vedanta Department. She graduated in German Language and Literature and Information Science from the University of Zagreb. 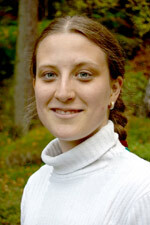 Since 2003 she is involved in the work of the Vedic Academy in Germany as webmaster and translator. In 2004 she took over the managment of the European Academy of Vedic Studies and has developed the e-learning platform for the EAVS. She works as webmaster and administrator of online studies. Irena has translated several books into Croatian language including Marcus Schmiekes books on Vasati and Vedic Astrology. She studied Vasati at the Vedic Academy in Germany from Marcus Schmieke and assists him in various Vasati projects. As a co-tutor she is supporting him in taking care of the Vasati students.